This seminar will help you turn that business built on name, reputation and relentless customer service into a revitalized, relevant, profit making industry leader! -Learn how to create a Social Media Buzz that only your business can. -Find out how to save money from your bottom line to your overhead without compromising quality in product or staffing needs. -Create a business strategy that allows you to grab your target market's attention and inspire your existing client list to shop more in new and exciting ways. This seminar will not only show you how to use what you already have built to increase profits in your everyday business but also how being you, authentic and true, can help you grab new exciting business possibilities. This will include the new “Instant Gratification” wedding industry and “Until Death Do We Barter: making friends that scratch your back when needed"
Jennifer Harvey CAFA has been in the floral industry for 19 years, freelancing, consulting and managing several shops across Canada. 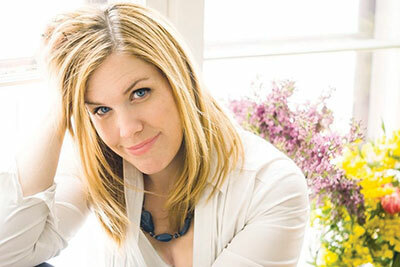 She is a columnist for Canadian Florist magazine and also writes for several industry magazines, and blogs and her work has been featured on television, in print and online all over the world. She is Head of Floral Procurement and design with Canada Blooms - named one of the worlds top 10 garden shows (also this March in Toronto)! She has designed for Celebrities, Royalty, Members of Parliament and Prominent Political Figures. She has worked closely with Preston Bailey on the empire state building”Love Is In The Air” Valentine weddings, a royal wedding and Preston Bailey’s personal wedding. She Graduated with honours on the Deans List from Algonquin College Floral Design Program. She now gives design and motivational seminars and workshops around the world specializing in Floral Therapy. Jennifer has dedicated time to developing curriculum and teaching persons with disabilities and mental illness. She is a TV, social media and radio personality and serves her industry and community in this capacity by being involved in many charity events and non profit organizations. Jennifer was just inducted as President of the Canadian Academy of Floral Art after serving on the Board for 4 years. She has been named one of Canada's top designers under 40, achieved the title of Ultimate Floral Designer and several other prestigious industry awards.